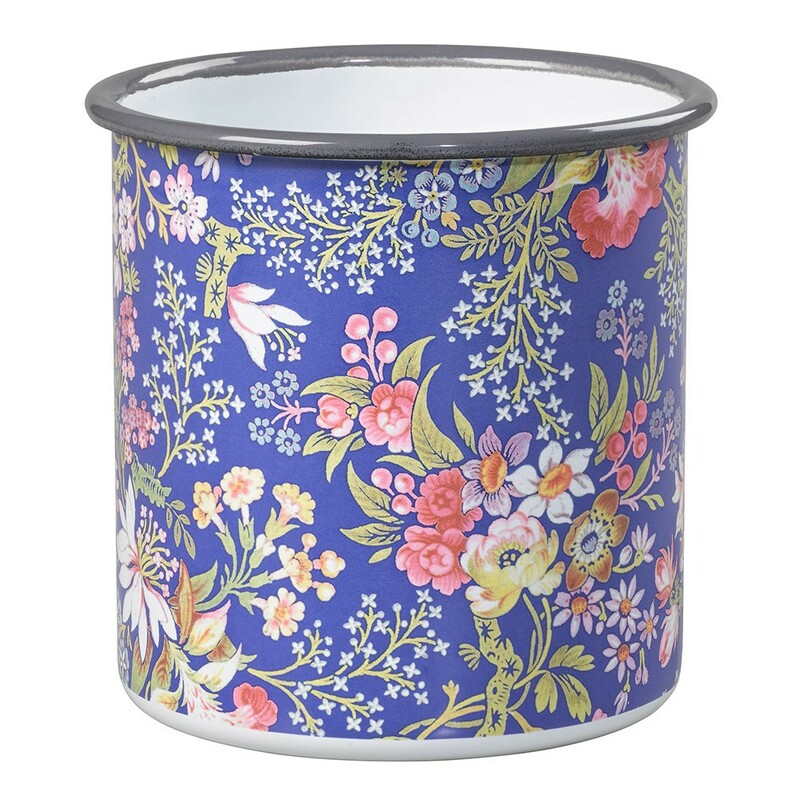 Elegant enamel pots look superb in any green-fingered household. These beautiful patterns take details from an original watercolour design by William Kilburn, produced for the Victoria & Albert Museum. Makes the perfect plant pot, or even a pretty storage pot. The charming Kilburn Blue print is also featured on the Fork & Trowel Garden Tool Set and Pruners, why not complete the collection? These can be found in the 'We Also Recommend' tab above.